The South African economy is struggling, with ongoing pressure of petrol price hikes, a weakening rand and decreased consumer spend. Award-winning economist Nico Kelder has said that the country needs to start exploring non-traditional methods of boosting the economy. Effectively, we need to think out of the box. I believe one cost-free strategy to assist government in boosting the economy would be to create a non-domiciled status, or ‘golden visa” permanent residency opportunity for foreigners to invest money into the economy. A non-domiciled person is one considered by law to have their permanent home in another country. Most tax-payers are aware that they can benefit from having a ‘non-dom’ status. The government has not yet realised the attraction of global citizens wanting to live in SA for part of the year as non-doms. One example of where this has worked very successfully is Portugal, which is now booming. Their non-habitual residence offers special tax benefits for 10 years, while the United Kingdom offers 16 years. I believe that by South Africa introducing a golden visa of 20 years it would attract and draw potential non-doms away from other jurisdictions, which would be of great benefit to our economy. I don't think Portugal imagined that the investments would be so successful, and how it would stimulate other parts of the economy, including employment and commerce. European tax havens such as Cyprus, Monaco, Jersey, Guernsey, Malta and the Isle of Man are already developed and very expensive to live in. The cost of living in South Africa is more affordable and this, coupled with our wonderful climate, would be the main attractions. We need to take advantage of this while there’s a gap. How it could work in South Africa is that the foreigner makes a $1m foreign direct investment (FDI) into a new property in South Africa. By investing in a property, the money is here to stay. This investment gives the investor a non-dom tax status for a set number of years, say two decades, plus a “golden visa”, which allows the investor to live and work in South Africa, provided that they have started their own business and employed South African citizens. The investor would not have voting rights, but those of retirement age may retire. The benefit to South Africa would be a regular inflow of FDI. There would also be the knock-on effect as the investors would stimulate jobs in the construction industry, buy goods and services such as cars, clothes, groceries, furniture, use doctors, lawyers and accountants. They would also relocate or establish new businesses, which would employ South Africans, thereby reducing unemployment. There is also a human capital effect. Bringing entrepreneurs, professionals and skills into the country will further boost the economy and create significant jobs and opportunities. There would be little or no cost to government besides administrative. Government, industry and economy as a whole would benefit from the creation of jobs, and the additional tourism inflow from friends and family visiting. The creation of this golden visa would enable us to continue developing new projects, and the knock-on effects would be jobs, skills creation and stimulation of the construction sector. More importantly, these non-doms come with money to invest in our economy. They stimulate the economic growth positively and put no pressure on the taxpayer or our social system. It should mean that government would be able to repay its debt, provide social system essentials like housing, education and healthcare, and that personal and corporate tax would come down over time. My question to government is what do they have to lose? I believe that by creating an attractive tax regime for non-habitual residents, the country will see only upsides for all stakeholders, mostly the unemployed. 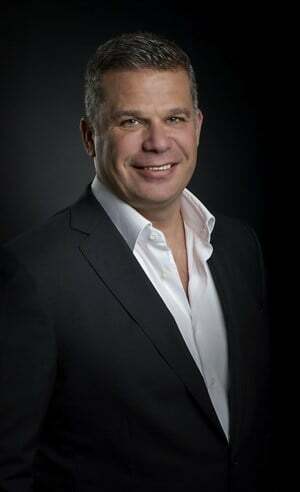 Stuart Chait is a South African real estate developer, investor and philanthropist. Currently the executive chairman of Land Equity Group, Chait's experience in the property industry has lasted more than 30 years. Chait works on joint ventures with South Africa's top private commercial portfolio owners in Cape Town and Johannesburg. While I like the idea, I'd just like to remind you that there is a large number of people who want to prohibit foreigners from buying fancy property in SA and pushing up the prices!